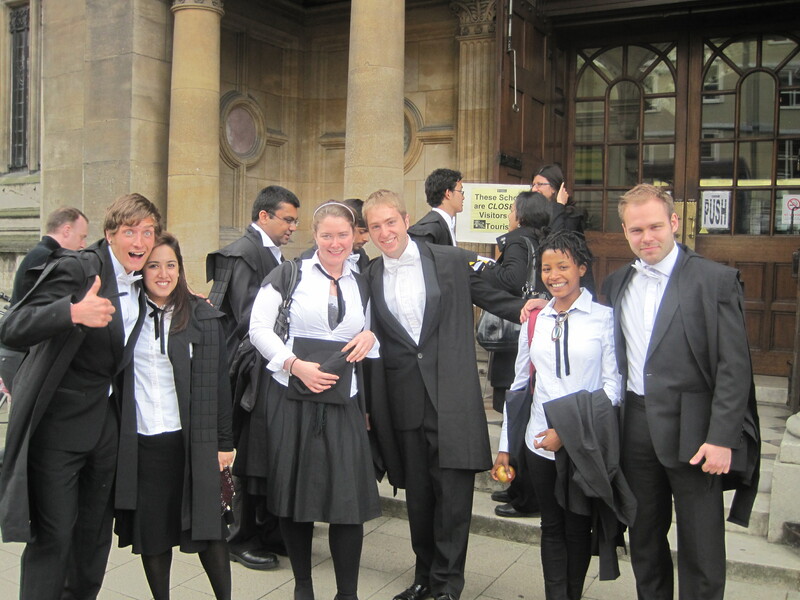 This weekend, I took (and – knock on wood – probably passed) my first two proper exams as an Oxford student. Oxford exams are more than just tests, though; they’re an experience – and to be prepared, you definitely have to do more than just study. First up, there’s the attire. At some point, Cambridge students voted to allow themselves to wear normal clothes during exams; Oxford students opted to continue to require “sub fusc” dress. For the uninitiated, sub fusc entails a black suit, white shirt, white bow tie, and academic gown. 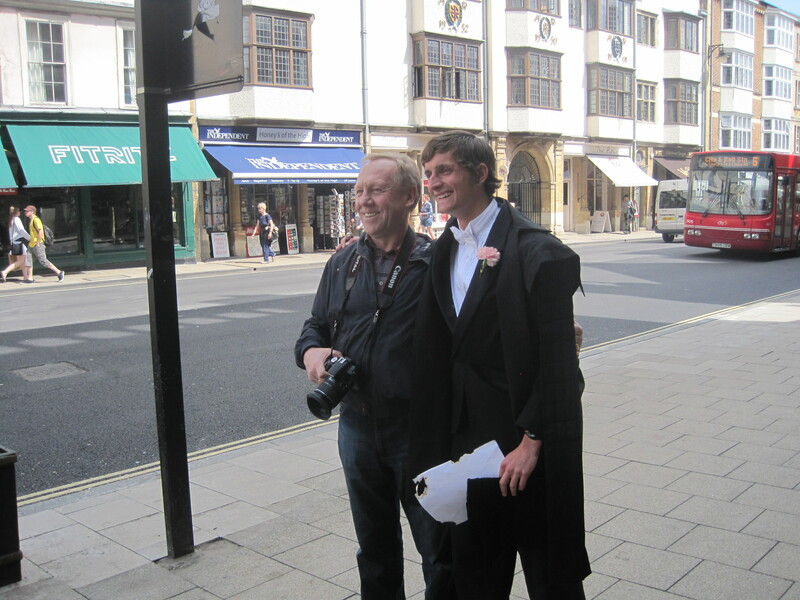 We are required to carry our mortarboard with us – even though we aren’t allowed to actually wear it – and apparently you risk a fine if you aren’t wearing dark-enough socks (fortunately for me, they don’t have to match). I had my doubts about how serious the rules on dress were until this morning, when I saw one of my professors rushing to the store to buy the black ribbon women are required to wear around their neck: apparently, even the examiner isn’t let in to give an exam if not dressed properly. 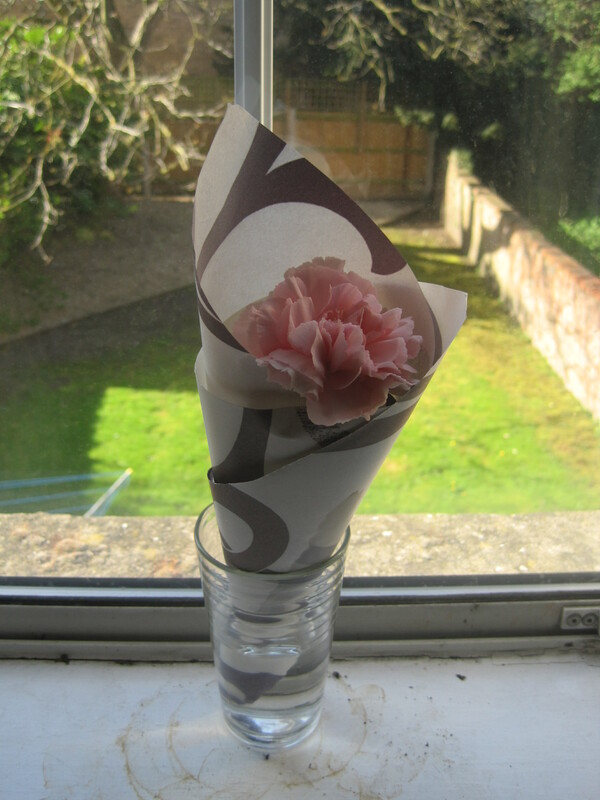 On a lighter note, true academic dress isn’t complete unless it includes a carnation. The tradition is that you wear a white carnation for your first exam, pink for your second, and red for your last one. My housemate told me the flowers get darker over the days because they bleed the red ink off your page. Perhaps more directly functional, your flower also lets people outside of the examination building know if you are due to be sprayed with champagne and silly string. 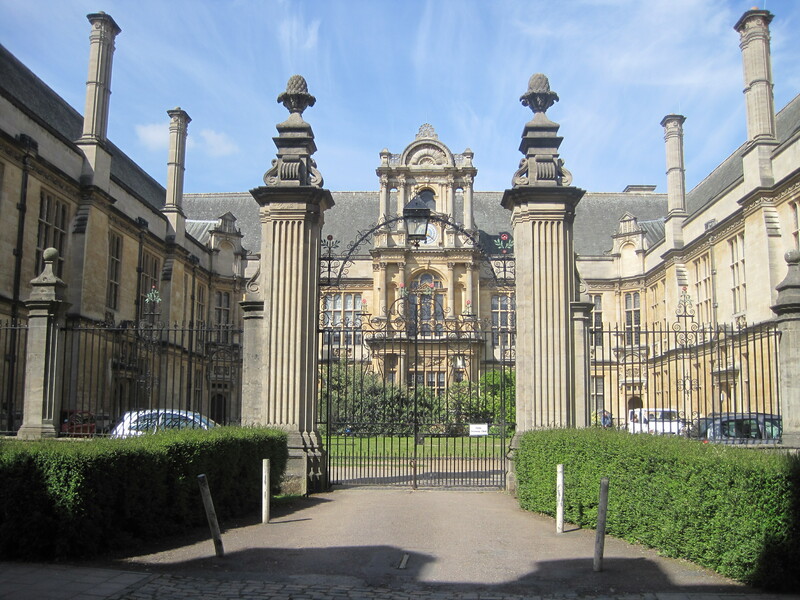 All Oxford exams are held inside “Examination Schools.” It’s an imposing place, and it kind of boggles my mind to think of how much accumulated suffering there is inside its walls. I couldn’t even make it through the list of Exam Schools rules – it was too long – but I did gather that the only objects we’re allowed to bring in are pens and our ID in a clear plastic bag, ready for inspection. It’s one of the few buildings on campus that doesn’t allow tourists inside, which only builds up its mystique. All of these rules, I was told, are enforced by the “invigilators.” Some friends from the commonwealth have assured me that this is a perfectly common term for “proctors” in some parts of the world. For me, though, “invigilator” summoned an image of people dressed in Star Wars stormtrooper costumes wielding cattle prods. After all this build up, when Monday morning came, I half expected to sit down at my assigned desk and open up my exam booklet, only to find that our test was on Transfiguration and Charms. Or perhaps, the assigned time for the start of our exam would come, and the invigilator would shout “Surprise!” and announce that it was all a huge sham: Oxford students don’t take exams, but – much the same as with Santa Claus – we couldn’t spoil the secret for the next generation of students. It would, at the very least, explain why we aren’t allowed to take cameras inside. 180 minutes and 27 handwritten pages later, I bolted, without even bothering to listen to another litany of instructions from our invigilator. 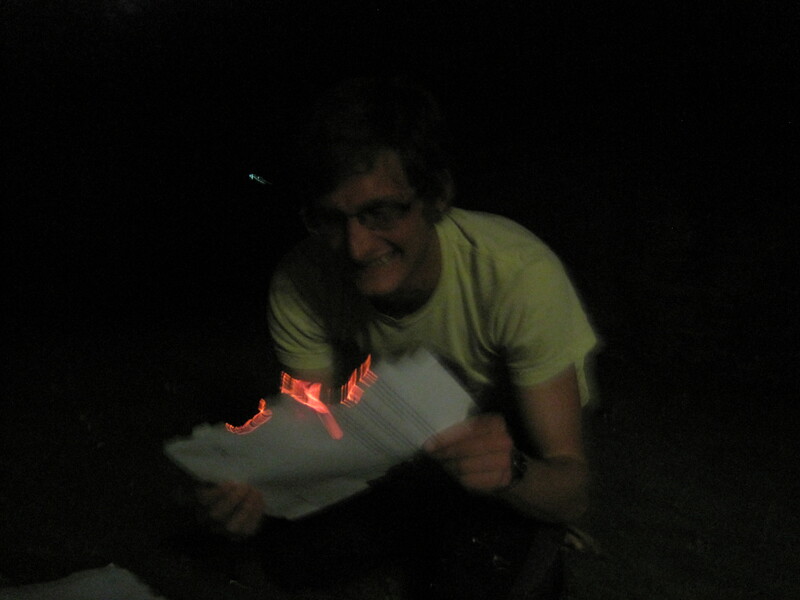 I left my second exam – economics – a full hour early (you aren’t allowed to leave in the last thirty minutes of the exam, and there was no way I was risking losing another full hour of my life), and passed the time waiting for my classmates by setting fire to my exam paper by the front entrance. I even got to take photos with a few tourists, which almost made me feel like I had a Mohawk again. My sense is that, for most of the people in my degree, exams were reasonably miserable. While I wouldn’t exactly call my examination experience a barrel of laughs, it’s hard for me not to appreciate the artful balance Oxford has struck between somber traditionalism and comedic absurdity. This place, it strikes me, is a gigantic inside joke, and I’m finding I have way more fun if I play along. *Minus “Rick’s Wait.” Does anyone get that?